4 images. 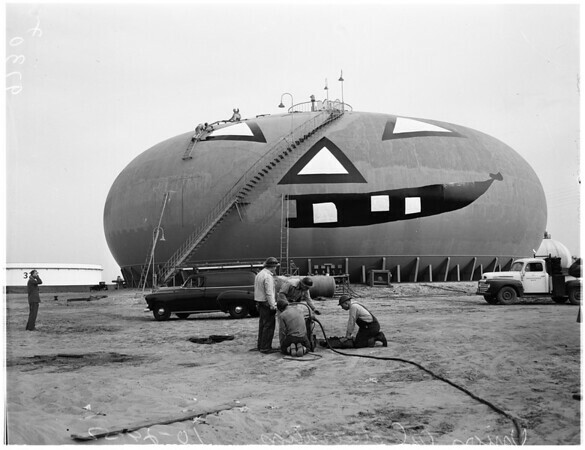 Union Oil pumpkin...Halloween decoration, 29 October 1952. Storage tank which holds 80,000 barrels of gasoline painted and decorated for Halloween.